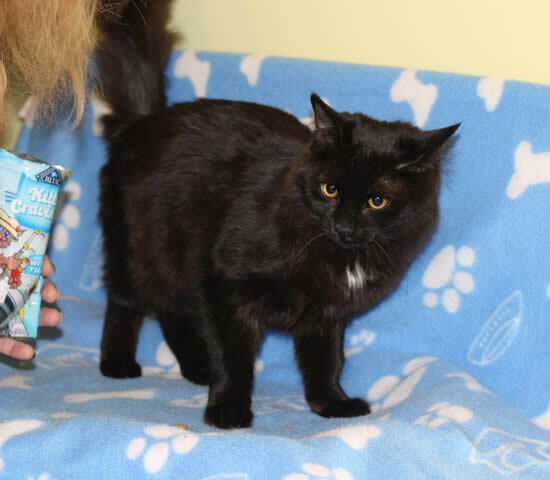 Tucker was born to a little mother cat who didn't have enough milk to feed all her babies. 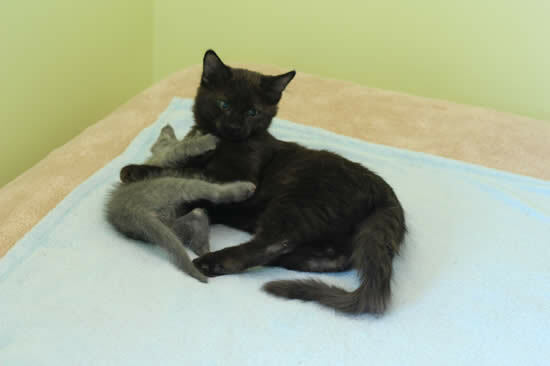 He was just one of five orphaned kittens, from different mothers, lucky enough to be placed with a nursing mom (Miss Mew) who had lost her own kittens through an unsuccessful caesarian section. Giving Miss Mew the opportunity to mother these little orphans helped her both physically and emotionally. She was a superb mom to every one of her little adopted charges. What a gentle and easy-going little fellow! “A long-haired gentleman,” his foster-mom states. He’s a wonderful friend to all - whether it be people or cats and is also comfortable with two energetic resident dogs in his foster home. He’d be great on his own or as one of a pair (pssst...he’s pals with Adah). 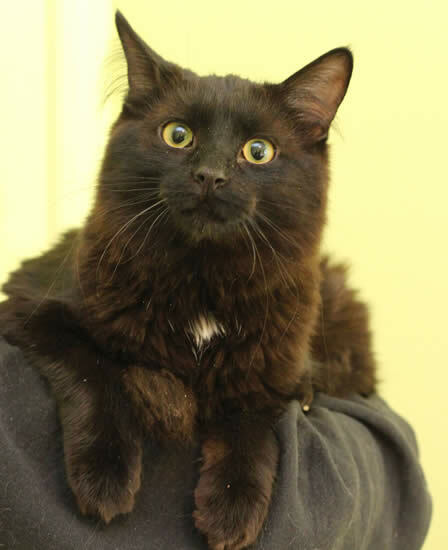 He also likes people: Tucker is a snuggler; he’ll want to sleep on your bed with you at night. But what Tucker loves as much as friends is water - all kinds, liquid, solid and in-between. Put an ice-cube in a bowl of water, and he’ll take it out. Put it in, he’ll take it out. Repeat endlessly! He’ll dig into a box of snow and play in it. And it’s best to keep him out of the bathroom when you have a shower - he’ll want to join you. 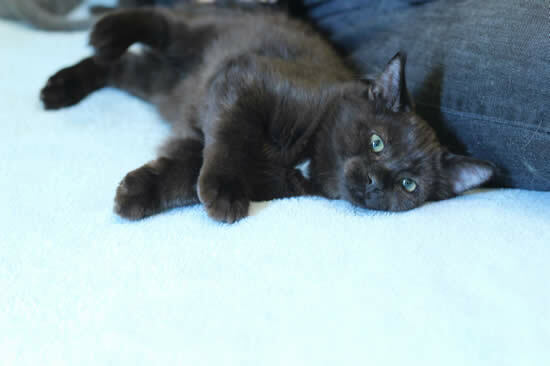 In short, Tucker has the inquisitive and playful nature of a kitten and the kind soul of an adult. Can you ask for more in a companion? If you'd like to inquire about Tucker, click here.